Band is composed of wind instruments and percussion. Students are tested by professionals to determine which instrument is best suited for them. We have flute, clarinet, saxophone, french horn, trumpet, trombone, baritone, and percussion. The Stonybrook Band is known for our many performances and awards received at contest and competitions. After school we offer opportunities like jazz band, percussion ensemble, and pep band in addition to your classroom music. Music education immerses students in a culture of success and challenges each member to use the creative side of their brain while also learning a foreign language: MUSIC. We can’t promise every child will be a musical prodigy but we can promise you will learn, laugh, and grow along the way. 1. How do I sign up for band, orchestra, or choir? 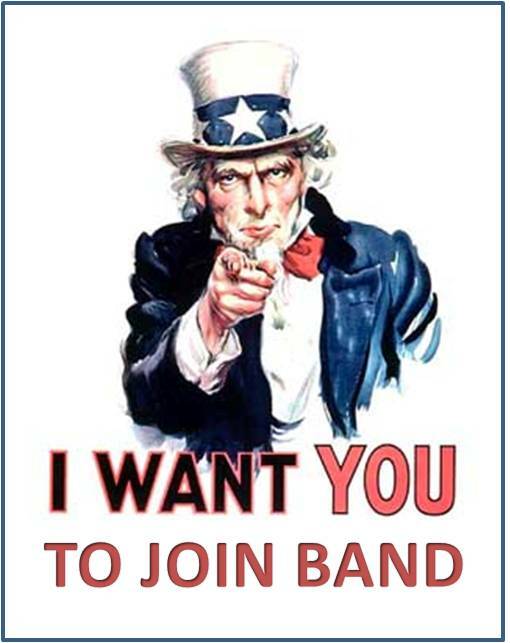 Contact your school counselor and select band, orchestra, or choir on your course request form. 2. Does it cost money to be in music? There is a fee for instrument rentals and trips that are available. We will give you more information once you are in our classes. There is some help available for families in need. 3. Do I have to know how to play an instrument or sing before I start your class? No! We will teach you everything you need to know.